This course integrates the study of mathematics with business finance, accounting, and economics. You’ll be introduced to the major areas of mathematics and finance and develop a broad base of mathematical and financial skills. The programme is designed to prepare you for a career in the finance industry or other parts of the private and public sector where analytical and mathematical skills are valued. Two thirds of your time is spent on mathematics, including modules in financial mathematics covering mathematical modelling of financial and insurance markets, as well as pure, applied and statistical mathematics modules. You’ll be taught by Leeds University Business School, which is internationally renowned for the quality of its teaching, research and facilities, in the areas of business finance, accounting and economics. As you progress through the course, you’ll have more flexibility and choice of modules, allowing you to explore your particular areas of interest. This course will provide you with an integrated programme of finance, economics and accounting combined with mathematics, specifically tailored to working within financial services. 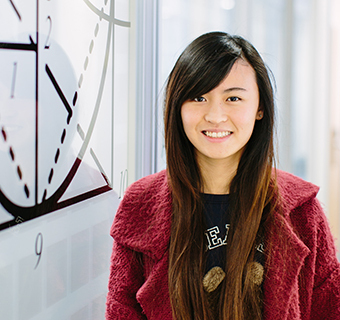 Each year, you’ll take 80 credits in mathematics, including financial mathematics modules, and 40 credits in modules taught by Leeds University Business School. In the first year of the course you’ll study key mathematics topics, including calculus and mathematical analysis, numbers and vectors, probability and statistics, and financial mathematics. In addition, you’ll be introduced to financial accounting, management accounting and economic theory. The second year builds on the knowledge you acquired in first year, with more in-depth modules on financial mathematics, statistics, accounting, microeconomics and macroeconomics. There is also a chance for you to broaden your knowledge base through optional modules in topics such as computational mathematics and environmental statistics. In the final year, about one third of your time is spent on core modules in banking and finance, data analysis and stochastic financial modelling. In the remaining time, you have freedom of choice to pursue particular interests through a wide range of optional modules devoted to mathematics, finance, business studies and economics. You’re assessed by a range of methods, including formal exams and in-course assessment. In virtually all areas of life, mathematical skills are highly valued. The numerical, analytical and problem solving skills you will develop, as well as your specialist subject knowledge and your ability to think logically, are highly valued across sectors, including financial services, IT, software design, data analysis, engineering, and teaching. This course also allows you to develop the transferable skills that employers seek. On this course, your year abroad adds an additional year to your studies. During your year abroad, you will study financial mathematics at your host institution. An industrial placement will boost your self-confidence, not only in your chosen subject area, but in the marketplace generally. You will be able to choose from a range of financial services organisations in which to work. In previous years, students have worked at many prestigious companies.